Together with smart remote control, easily control the right/left turn signal, emergency light, and alert guides, provide great safety for cyclists during night time or rainy day. ULTRA-BRIGHT BIKE TAIL LIGHT - Ampulla bike tail light has 29 of 85LM LED lights (30lm is commonly used on other tail lights) & 2 ground lane alert, bright enough to be seen from 150ft away on a foggy/rainy day or even in a dark night. 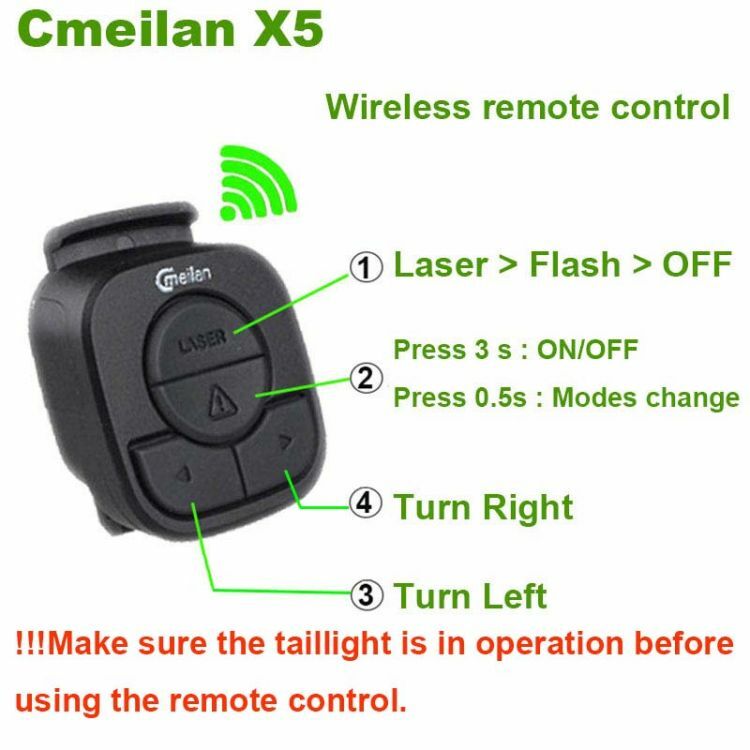 WIRELESS REMOTE CONTROL - Remote control the bike tail light to send signals in different modes by the six easy to use buttons on the wireless controller. RIGHT/LEFT TURNING LIGHT - Simply turn on right/left turn signals through the wireless remote control, emergency lights, and ground lane alert. Get drivers' attention from several blocks away, securing your safety when riding in traffic. UNIQUE GROUND VIRTUAL LANE - Ultra-bright lane alert on the ground warns any possible incoming vehicle, giving the rider their own virtual lane, further increasing visibility. IPX4 WATERPROOF - IPX4 Waterproof level can be used in small to moderate rain in the temperature of in -4-140°F -- your best partner for outdoor biking.